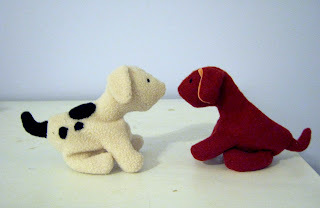 L has been asking if she's going to get a tiny red dog like Clifford (when he was a puppy) for Christmas. 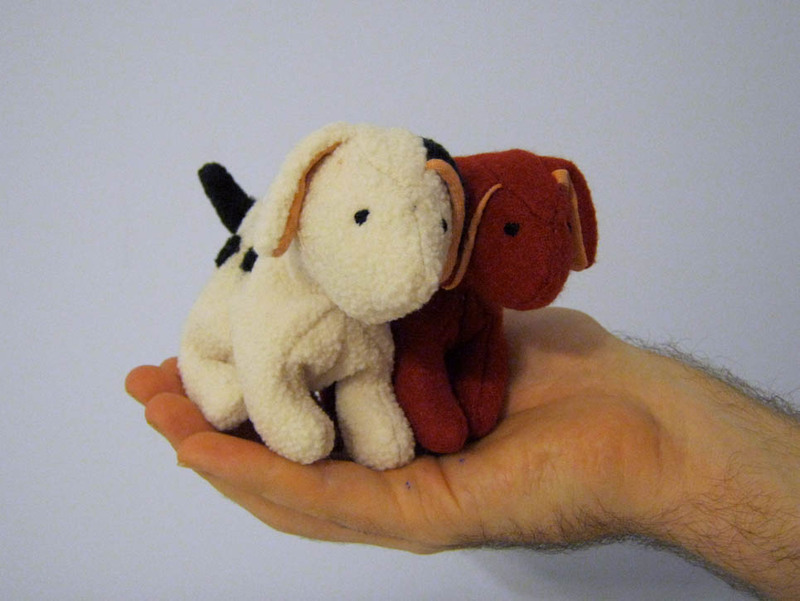 So of course, I had to make another dog for her, and one more for J. 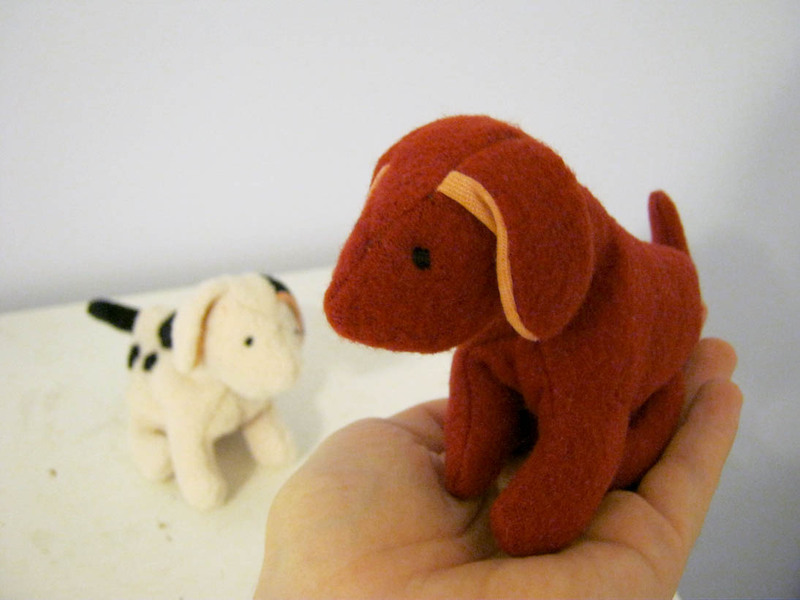 So, I shrunk the pattern. Really I just opened the image on my computer and zoomed out then I traced it until the whole pattern fit on half a sheet of paper. It's like having a light box. They sewed up really quickly, although the head gusset was tricky because the fleece is so thick and the corners are so tiny. Still, I'm really growing to appreciate how forgiving fleece is. Why didn't I see this before? (the year of sewing what I want).